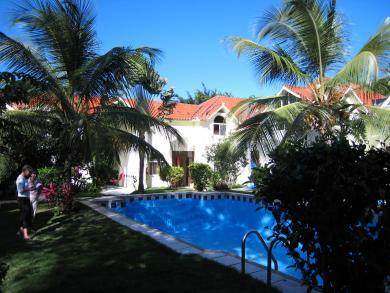 This complex of 6 townhouses is right across the street from the beach access to a beautiful semi-private beach. The entire area is being newly developed with luxury villas and apartments. The six townhouses consist of one 4 bedroom, three 3 bedrooms, and two two bedroom apartments. Freshly painted, with modern appointments, these large and spacious apartments range in size from 140 sm to 180 sm. A central pool area creates a serene and private environment.